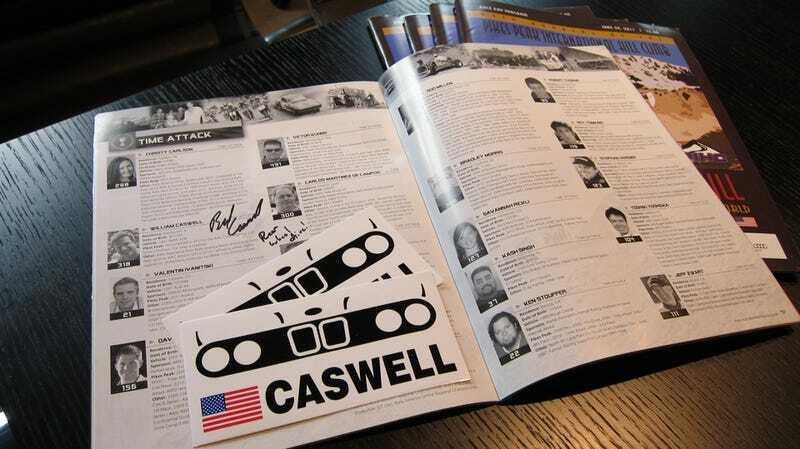 We have five copies of the official Pikes Peak International Hill Climb program signed by none other than Jalopnik's $500 Craigslist rally car driver, Bill Caswell. We'll be giving one away every day this week. Here's the second. We'll do it by randomly selecting a winner from the commenters on the "Bill Caswell Pikes Peak Day Two" thread on our official Jalopnik Facebook fan page. Details below.